Right around the 2011 publication date of her book about the Bernie Madoff scandal, The Wizard of Lies, Diana Henriques found herself in a bit of a surreal situation, which she described for me in a recent interview. She was sitting in The New York Times offices, waiting for Robert De Niro to get on a conference call. When he got on the line a few minutes late, he apologized for the delay and introductions were made. 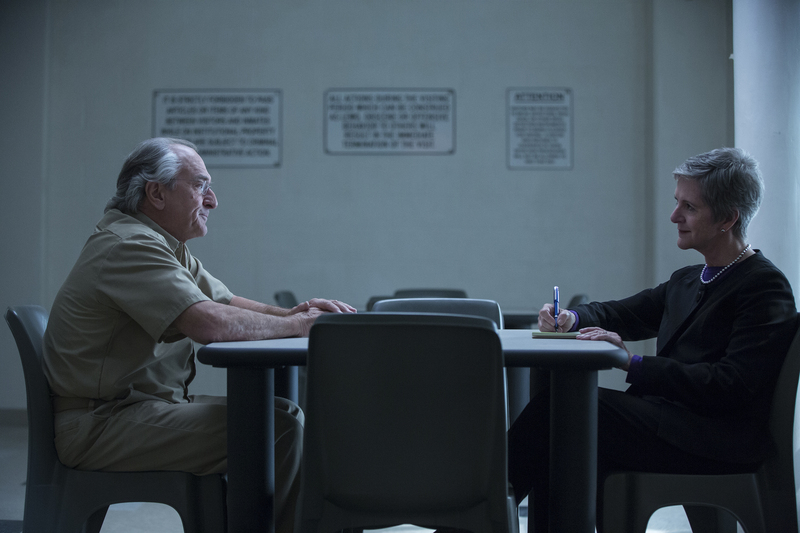 The Madoff that Henriques reveals in her book and that De Niro brings to life on screen is flawed, fascinating and Shakespearean in scope. It is a sentiment that anyone who watches Barry Levinson’s “The Wizard of Lies” on HBO would agree with. De Niro looks and behaves eerily like Madoff, the one-time “financial genius” who was exposed as the perpetrator of the largest Ponzi scheme in history in 2008. The Madoff that Henriques reveals in her book and that De Niro brings to life on screen is flawed, fascinating and Shakespearean in scope. As the first journalist to interview Madoff in prison in late 2010 and early 2011, Henriques had extensive correspondence with him and sat down privately with De Niro for a very long and intense discussion about her recollections. Soon after that, she was shocked to learn that the actor and the filmmakers behind the project thought she should consider playing herself in the movie. Following some initial hesitancy, she decided to embark on “a great reporter’s adventure,” making her film debut playing opposite the iconic De Niro. It is both disturbing and captivating to watch De Niro’s Madoff act with such supreme confidence and measured calm while a $65 billion fraud hangs over his head. How does Trump get into the Madoff horror? The movie is amazing. It shows the underbelly of the investment world---there is a little Madoff in a lot of them----see 2008! To include Trump is, at best, dishonest. Thanks for your comment, Tom. I think it's safe to say that Madoff pulled off a fraud that was breathtaking in its scope. Even in the context of the 2008 financial crisis. At least that dealt with actual, legitimate financial instruments. Madoff hadn't done a trade in 16 years and ran a classic Ponzi scheme. I think Ms. Henriques was making a comparison between how a consummate con man like Madoff-- thought of as a legitimate pillar of society--operates and the increasingly disturbing behavior and rhetoric from the White House. I think it's safe to say that the notion that Donald Trump is a con man of sorts has definitely been part of the public discourse of late, so it's a fair comparison to make.